The annual flurry of university rankings has recently flooded the media. These lists serve mainly to sell magazines, not meet the needs of the reader, and they do little to convey the true value a school offers to its students, community and faculty. The statistics employed can be – and have been – distorted and manipulated. If your school’s brand strategy is centered on rankings, your brand strategy needs rethinking. 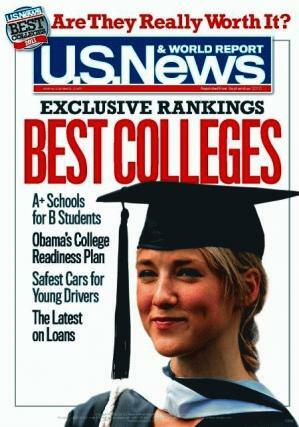 The flagship of college rankings is U.S. News & World Report’s ‘Best Colleges’, which, the magazine says, is built using “quantitative measures that education experts have proposed as reliable indicators of academic quality, and on our researched view of what matters in education.” [http://www.usnews.com/education/best-colleges/articles/2012/09/11/how-us-news-calculates-its-best-colleges-rankings]. As a recent NYTimes op-ed pointed out, the results are counter-intuitive to much of what education needs today, positive long term returns on a significant investment. The U. S. News rankings reward the opposite, and schools spend money hand over fist to improve their score. One of our clients, U.C. Berkeley, produces remarkable facts and figures, and demonstrates a solid rankings performance year after year. These rankings were not doing enough to avoid concern for the school’s reputation, however. We helped Berkeley develop a brand story that is built on the intangible attributes that differentiate it from its peers. This essence is timeless, not reliant on rankings, and will not be compromised as long as Berkeley is Berkeley. Facts and figures can help validate a brand strategy; they shouldn’t define it. Our expectation is that communications based on what makes UC Berkeley a uniquely great place will draw students, researchers and donors for the right reasons, not just for rankings. A college is more than a number – when your school understands what makes it great, it does not need to rely on magazine rankings to communicate its value. Brand value is inherent in your students, faculty, culture, history, reputation, and community. If you don’t define your university’s brand by taking all of these into account, you’re losing out on an opportunity to demonstrate your value in the education marketplace. Apple sold over 5 million iPhone 5’s the first weekend they were made available, setting records once again. We can count on Apple to be successful because they stand for something specific, valuable, and desirable, and because they deliver every time. Over the years Apple has mastered simple, compelling, and direct brand messages. When they launch a product like the iPhone 5, the campaign is memorable, disciplined, and focused. There’s no ambiguity as to the message or the target audience, and their sales numbers prove the power of this approach. Brands differentiate themselves in the marketplace by clearly articulating what they represent, who their audience is, and why they matter to that audience. By developing a brand strategy that is focused, simple, and meaningful, they deliver a message that connects with consumers. This brand focus lets them stand out from the crowd. American Express is another great example. By portraying themselves as the card of choice for the sophisticated, smart, and worldly, they have become one of the world’s top destination and travel industry brands. American Express entices consumers to be a part of their world, and they have become one of the most recognized brands in the market. Developing brand focus is only part of what it takes to be a strong, differentiated player in your market. Once a brand takes a stand, it must maintain that position by providing a clear voice, creating compelling and succinct messaging, and ensuring that all behaviors are on strategy. And of course, like Apple and Amex, they must deliver. When brands try to be everything to everyone, they end up being nothing to anyone. Brands that establish a strong position and deliver on their promises are the ones that make a difference in the market. Last month, two Silicon Valley stalwarts saw leadership changes, reinforcing the reality that in times of change, those at the top must inspire excitement for the brands they lead. 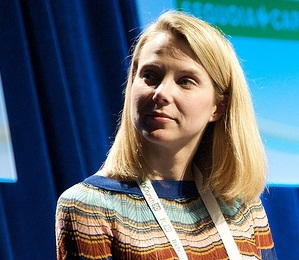 Marissa Mayer, a longtime public figure at Google and responsible for some of the company’s most recognizable products, took on a new role as CEO at rival Yahoo!, while Paul Maritz, the CEO of VMware, who led a small virtualization startup to become a $5B leader in data center transformation and IT-as-a-Service, will move on to take a broader role at parent company EMC. In both cases, people are watching closely to see how effectively these new leaders can establish a clear brand vision for their companies. Mayer has her work cut out for her. As the fifth CEO in the last five years at Yahoo!’s helm, she must define a vision and set a clear path for the company to follow – a feat that her predecessors failed to accomplish. Yahoo! has not evolved with technological changes in advertising and the rising influence of social media, and continues to struggle to define itself. Until Mayer can steer the Yahoo! brand in a clear direction, the company will not attract and retain the talent, advertisers, and investors it needs to return to its former powerhouse status. Not surprisingly, this week several top Yahoo! executives left the company. In contrast, Maritz is leaving VMware well-positioned to expand its role as an industry leader (full disclosure: VMware is a client of ours). The brand vision and direction he instilled at VMware over the last four years set a foundation the company should be able to build from in the coming years. Change is a constant in the dynamic business environment of Silicon Valley. As top leaders swap companies and titles, however, they must be able to build, sustain and enhance the brands they lead. The success of any company depends heavily on leadership’s ability to instill confidence in what lies ahead, by clearly articulating their brand vision, generating enthusiasm internally and externally, and navigating the company forward in single direction.